We get a lot of questions from home buyers about asbestos. Will we identify the presence of asbestos? 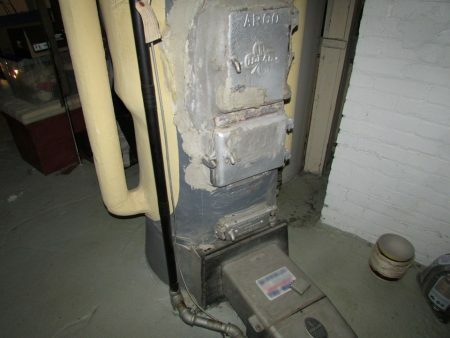 Can we test for asbestos? 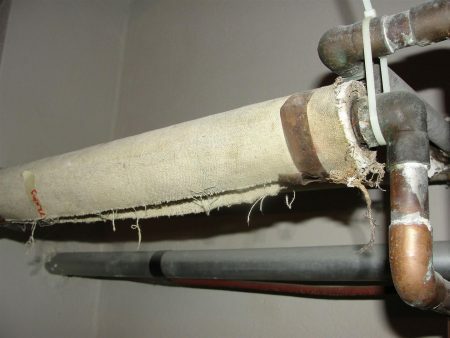 Does this or that material contain asbestos? And so on. During one of our recent monthly home inspector meetings for the ASHI Heartland chapter we had an industrial hygienist from Legend Technical Services, my go-to company for asbestos testing, come out to teach a class on asbestos and asbestos testing. At the end of the class, our teacher concluded with something that I’m going to share right at the beginning of this blog post: If a material is not made from wood or metal, it might contain asbestos. For the record, asbestos exposure can cause serious health issues from asbestos-related diseases or mesothelioma. Symptoms may take 20-40 years to show up. 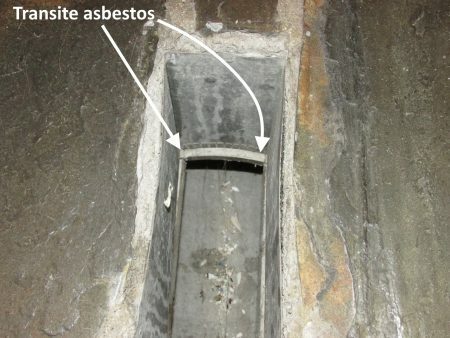 For more information on asbestos and mesothelioma, visit https://www.mesothelioma.com/. That might be a slight exaggeration, but only slight. After going through the list of products in the class, the only way that I would feel comfortable telling someone that a product does not contain asbestos would be if it was made from wood or metal. Asbestos has been used to create over 3,000 building products. Three Thousand. 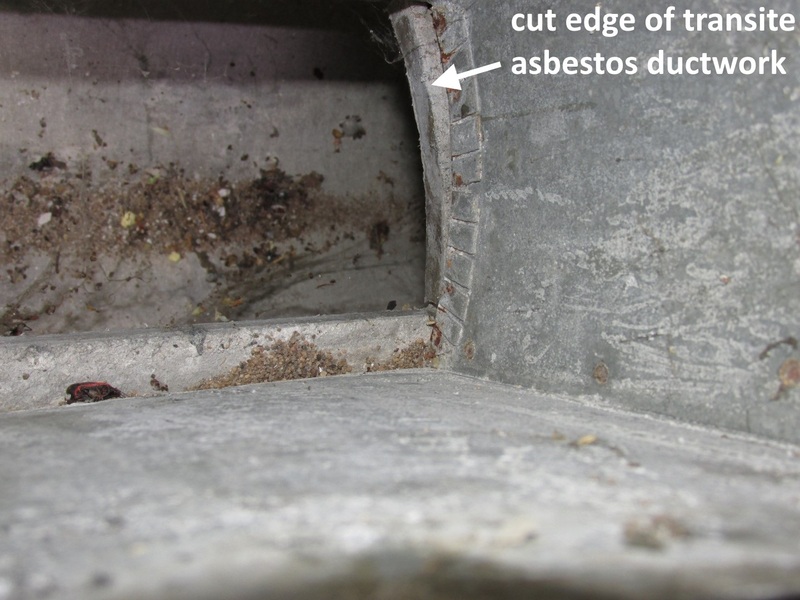 Even lab testing isn’t always enough to confirm that a product doesn’t contain asbestos; check out my recent blog post on vermiculite insulation. 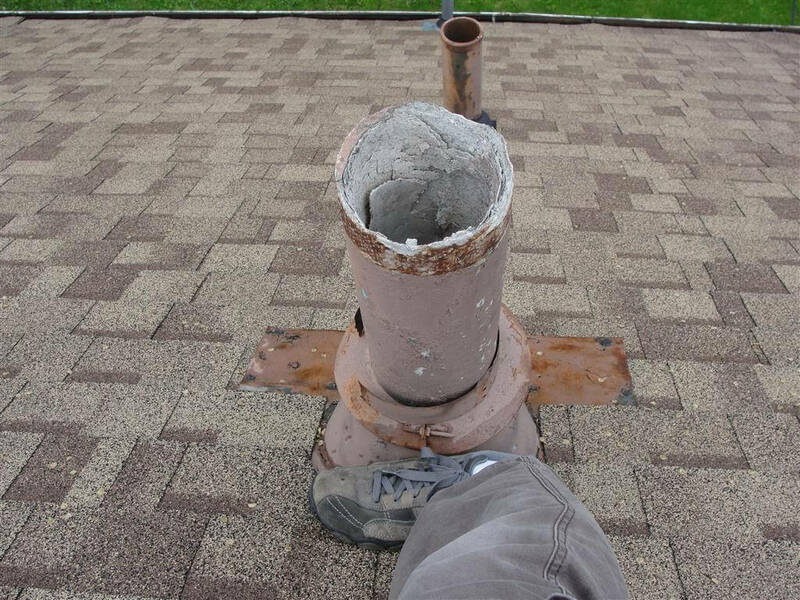 I can’t possibly cover everything, but here’s a list of products that always or almost always contain asbestos, and are usually quite easy to identify. Cement-asbestos siding It looks like a cross between cedar-shake siding and newer fiber-cement siding. It’s fairly brittle stuff, and most houses with this type of siding will have a few damaged or cracked pieces. Transite asbestos furnace flues I blogged about these a couple of years ago, and I put together a big compilation of photos in that post: Transite Asbestos Flues. They’re typically bad news because they have a tendency to flake apart and collapse, which can create a serious safety hazard. Transite asbestos in-floor ductwork Usually when people refer to “transite heat”, they mean there is ductwork installed below the basement slab for air to travel through. The most common product is PVC, but transite-asbestos ductwork was also used for this. It’s very easy to tell the difference; just pop off a floor register cover to take a look at a cut edge. 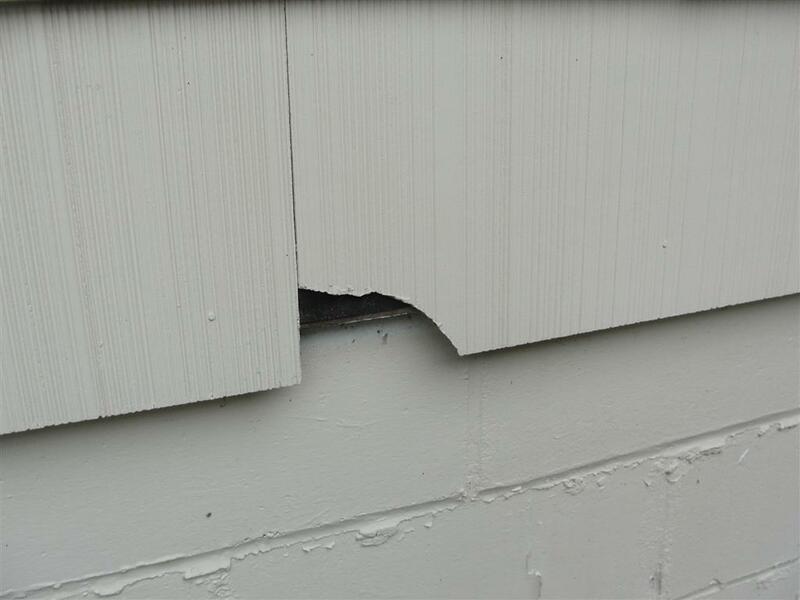 Transite asbestos is whitish and has a cementitious look to it. And yes, cementitious is a word. It means exactly what you think it means. When it looks like the stuff shown below, it could easily become airborne. This next photo shows insulation that isn’t in great condition, but isn’t nearly as bad as the stuff above. This next photo shows asbestos insulation that’s in good condition. It’s even labeled. Isn’t that convenient? Some people like to put warning labels on this material. Probably not a bad idea. 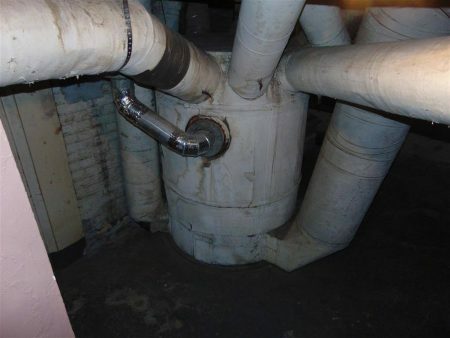 Insulation on old boilers and gravity furnaces The boiler and gravity furnace shown below are both covered in insulation known to contain asbestos. White fibrous insulation on furnace ductwork Most of the insulation on this ductwork has been removed, but there is still a little left. This material is known to contain asbestos. 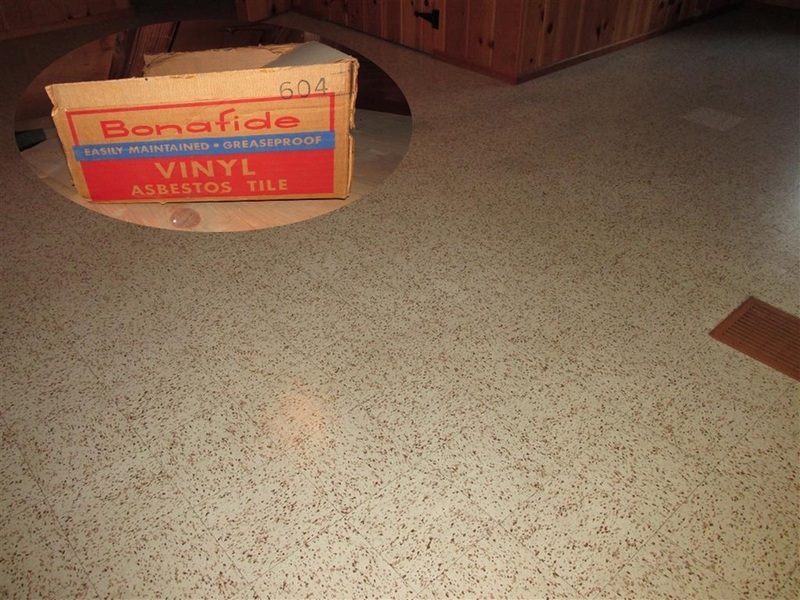 9″ x 9″ floor tiles and the adhesive used to keep them in place It’s typically safe to assume that 9″ x 9″ floor tiles contain asbestos, and that 12″ x 12″ don’t, but that’s only an assumption. There are no guarantees. 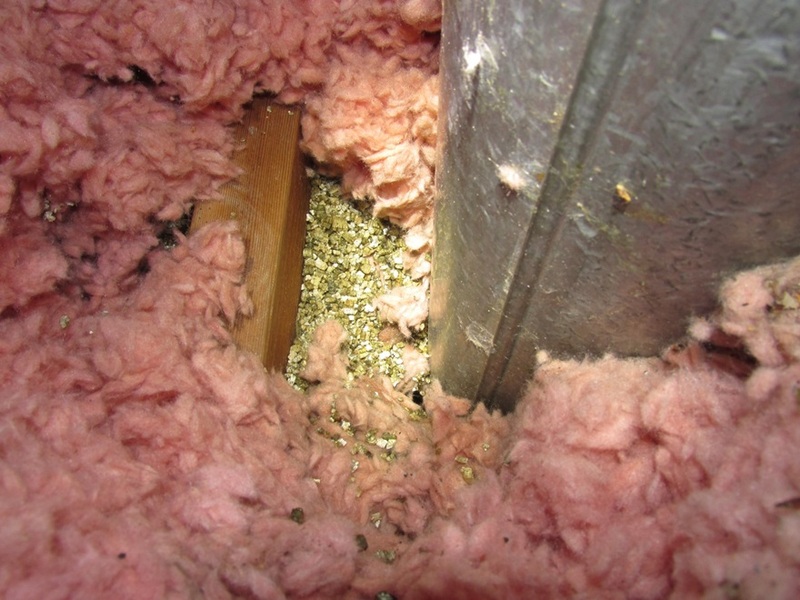 Vermiculite insulation Again, see my recent blog post on this topic: vermiculite insulation. 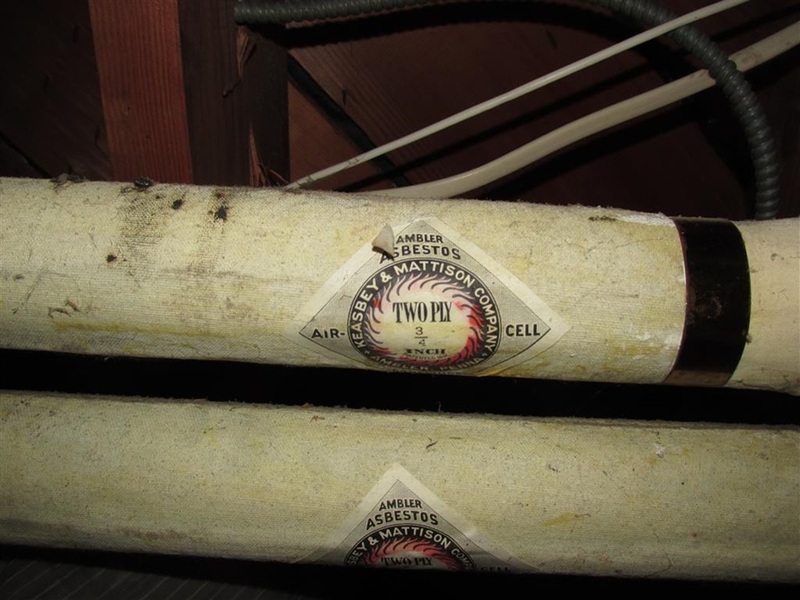 If you’re buying an old home, it’s probably safe to assume that you’re buying a home contains some products that have asbestos in them. In most cases, it’s not a big deal. 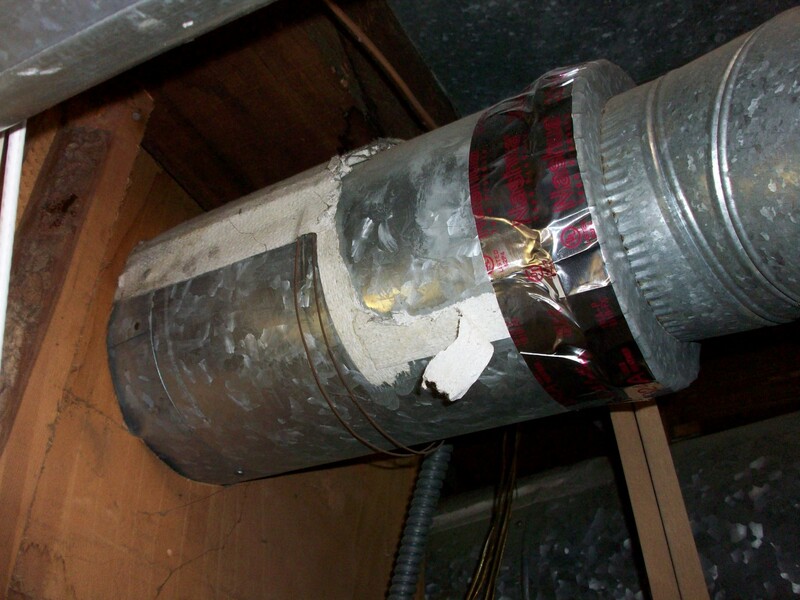 Asbestos doesn’t do any harm as long as it remains intact and nobody breathes in the asbestos fibers. Follow the advice from the EPA and the CPSC: if asbestos-containing materials are in good shape, leave them alone. The one exception to this might be vermiculite insulation, simply because there is money available to help homeowners with the costs of vermiculite insulation removal, and because the asbestos fibers in vermiculite can be released into the air just by looking at them wrong. Oh, and for the record, my company does not test for asbestos. When a client wants asbestos testing performed, we refer the above-mentioned company, Legend Technical Services. 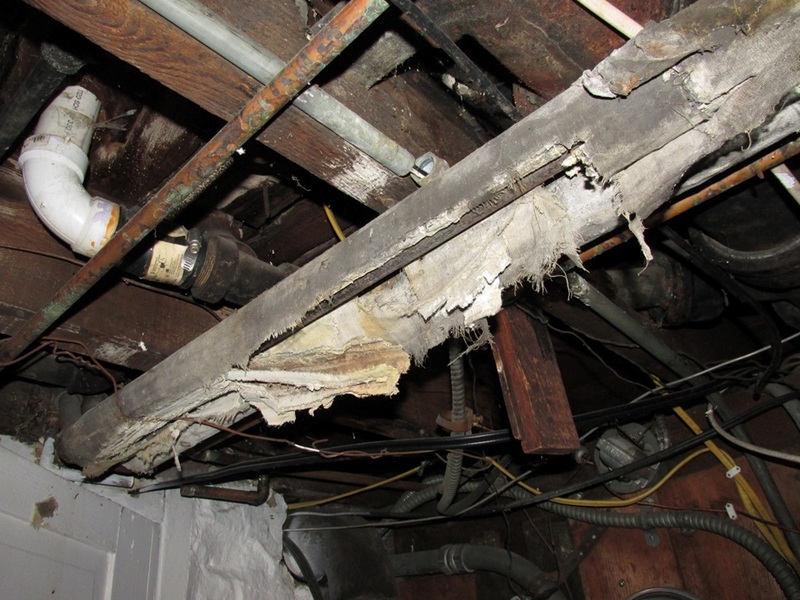 Home inspection standards of practice specifically exclude the identification of environmental hazards, such as asbestos. 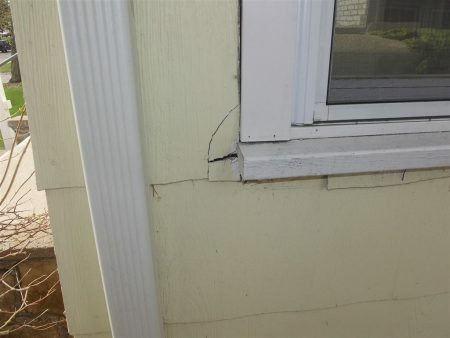 Nevertheless, most home inspectors that I know will point out the stuff shown in my photos above, because these materials are fairly easy to identify and all of these materials are very likely to contain asbestos. 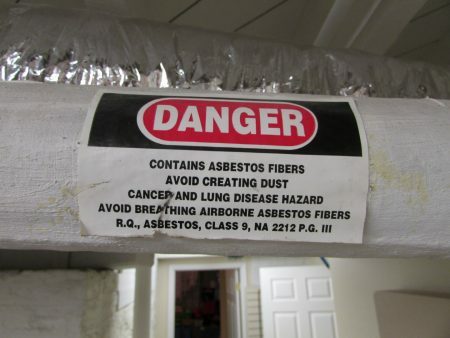 To learn more about the process of hiring an asbestos contractor, click the following link: Hiring an Asbestos Contractor. This is some great information, and I appreciate your point that 9″ x 9″ floor tiles typically contain asbestos. My husband and I live in an older home, and there are some of these tiles in a couple of different places. We’d like to do some renovations, so we’ll definitely look into having a professional come and remove the asbestos so it’s done safely. Thanks for the great post! Always read your stuff Reuben, always learn something, thanks again. Wish I had a house for you to inspect. Great stuff yet again! Best in the Twin Cities!